Trustworthy Dog Sitting Professional Wanted.Trustworthy Dog Sitting Professional Wanted.Trustworthy Dog Sitting Professional Wanted.Trustworthy Dog Sitting Professional Wanted. I am going away for a week and need someone to walk my dogs once a day. My husband is home but physically unable to walk them.I am going away for a week and need someone to walk my dogs once a day. My husband is home but physically unable to walk them.I am going away for a week and need someone to walk my dogs once a day. My husband is home but physically unable to walk them. Looking for a dog lover to walk our sweet girl!Looking for a dog lover to walk our sweet girl!Looking for a dog lover to walk our sweet girl!Looking for a dog lover to walk our sweet girl! 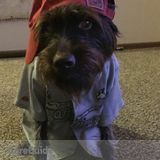 At PetSitter.com our goal is to connect job seekers to our community of pet owners in Wentzville, Missouri looking for dog walking services. Our job board gives you instant access to the largest database of local dog walking jobs available in North America.